Adequate wettability of the contact lens surface is known to be important to maintain a stable and evenly spread tear film. Contact lens manufacturers strive to develop materials that mimic the wettability of the corneal epithelium and are as biocompatible with the tear film as possible. A uniform tear film layer on the lens is essential for good vision and lubrication as well as for preventing deposit formation and infections . It is generally believed that tear film thinning is faster on a lens because of a higher tear film evaporation rate due to an altered tear film structure. Many studies conclude that evaporation of the tear film is the strongest factor influencing tear film thinning in interblink intervals . However, evaporation is not the only mechanism responsible for pre-lens tear film instability. Specifically, Nichols et al. attributed the higher rates of pre-lens tear film thinning to dewetting – a phenomenon directly related to lens surface properties. Dewetting, by definition, describes the rupture of a liquid film and formation of droplets like the ones observed with the slit lamp biomicroscope when the light is scattered on a drying lens surface (Fig. 1). In our recent study  of the pre-lens tear film (based on interferometric method of dynamic acquisition of tear film surface quality), we noticed a substantially different behaviour on the cornea to what has been observed previously. In about 80% of cases, recorded in suppressed blinking conditions, abrupt changes of the tear film fringe pattern were noticed that were attributed to dewetting. Those rapid formations of break-ups were often faster than those observed in dry eyes. Of interest was that independent of the subjective comfort and the overall quality of the tear film on a lens, once the change in the fringe pattern occurred, it proceeded at a similarly quick rate for all subjects considered. The material properties of a contact lens had little influence on tear film dynamics after the process of dewetting occurred. It was noticed that the point of dewetting, estimated at the abrupt change in tear film surface quality, was both subject and material specific, suggesting that not all lens materials are biocompatible with an individual’s tear film. Recently, a methodology for analysing high-speed videokeratoscopy recordings of pre-lens tear film surface quality revealed the same dynamic behaviour to that observed with the interferometric technique. 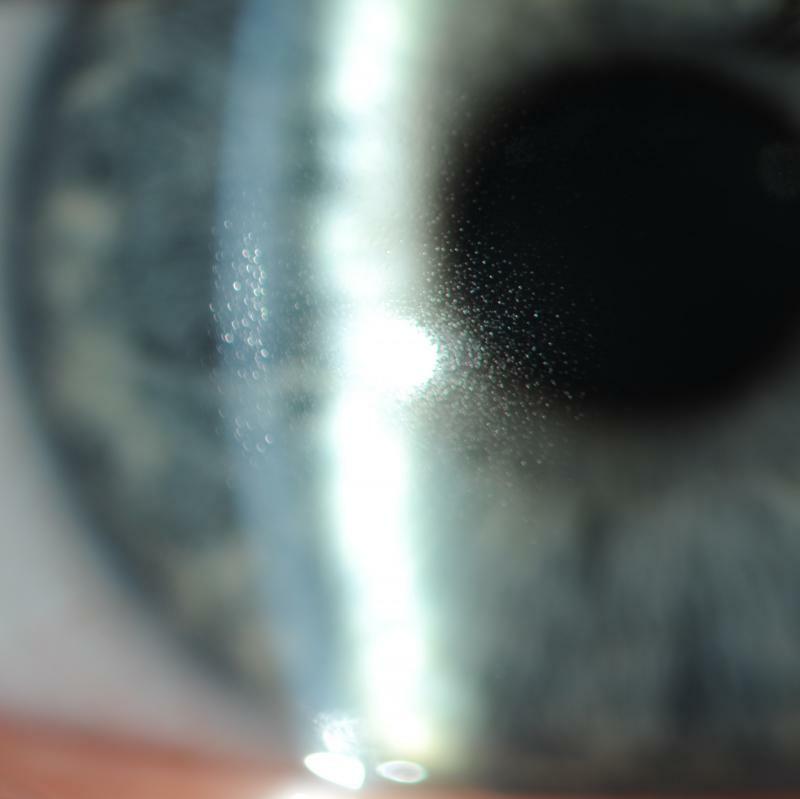 A uniform tear film surface results in a regular fringe pattern in lateral shearing interferometry  and regular reflection of Placido disk rings in videokeratoscopy . When the lens surface is not sufficiently wetted, the periodic structure of the interference fringes may no longer be visible in the interferogram signal (see Fig. 2 B & C). Similarly, in the case of Placido disk high-speed videokeratoscopy, substantially deformed and faded ring patterns were observed (Fig. 3 B & C). Those tear film surface disturbances may have an effect on vision if located within the pupil area (Fig 2 and 3) but may be unnoticed if located outside of the pupil area (see example in Fig 4). Particular contact lens materials may have different levels of biocompatibility with individuals’ tear film and may affect their interblink tear film dynamics in different ways. A contact lens that is incorrectly prescribed in terms of tear film biocompatibility results in worse tear film surface quality than that observed in dry eyes. It seems reasonable to believe that to reduce the prevalence of contact lens-related discomfort, more attention should be dedicated to the assessment of the pre-lens tear film when prescribing a contact lens. Some steps in this direction have been taken, as some commercially available videokeratoscopes have developed dedicated software for tear film surface analysis. Keir N, Jones L. Wettability and Silicone Hydrogel Lenses: A Review. Eye Contact Lens 2013;39(1): 100–108. Szczesna-Iskander DH, Iskander DR. Tear Film Dynamics on Soft Contact Lenses. Optom Vis Sci. 2014; 91(12):1406-1411. 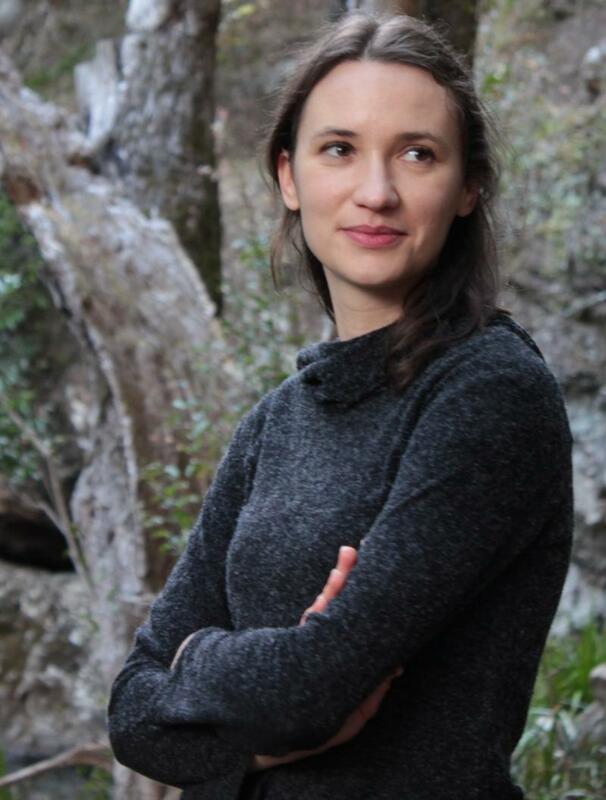 Dorota H. Szczesna-Iskander received her PhD in Biomedical Engineering in 2008 and is currently a research fellow and lecturer at Wroclaw University of Technology, Wroclaw, Poland. She has been involved in developing noninvasive methods that could provide quantitative assessment of tear film nature to diagnose people with dry eye syndrome, evaluate biocompatibility of contact lens materials with the tear film and measure the effectiveness of artificial tears. Her research work appears mostly in journals dedicated to biomedical optics, ophthalmology and optometry.